Options Small: 20" x 30" x 5" Medium: 30" x 40" x 5" Large: 40" x 50" x 5"
This bed contains 5"" of comfort on medical grade orthopedic foam. 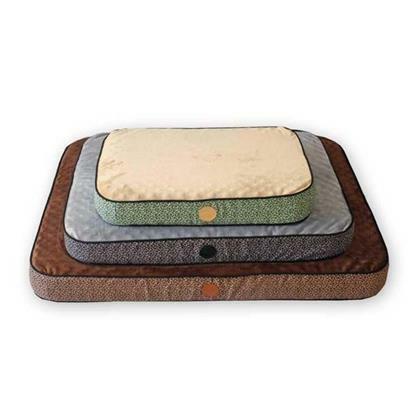 The bed reverses from attractive poly/cotton print to luxurious microfleece. A truly superior bed! Great for all pets that deserve that extra pampering.